“What leadership is?” and “Why it is so important today?” are just 2 of the questions keep running in the mind of people want to make a positive change in their life! Leadership is not just words or theories trying to understand better the leadership principles or who and what a leader is? It is a practical approach aiming at providing the methods, the principles, and the tools you need to acquire the ownership of your life and business. Leadership and business have a strong connection between them and many times interact positively to provide results beyond the ordinary. Take a look at Apple. Or Disney. Or Microsoft. Take a look at all the large companies today leading in their field. Every and each one is doing something different making it a leading agent to its field. And it does it successfully. Leadership is just a component of this success. Innovation, connections, associations, research and development, marketing and client support are other components of this successful formula. But essentially leadership is another way to learn how to become self-sufficient, autonomous and take the responsibility of your life. And of your vision. It is a way to focus on what matters most and make the world around you a better place to live in. This free leadership and business book research these topics focused mainly on the matters of the self-leadership as a basic component for positives changes in life and business. I wrote this small book as my personal notepad for referencing the approaches and ideas I use in my daily life. I need to have a small archive of the things have worked for me and what doesn’t. Moreover, I’d like to have a record of the approaches have contributed to my personal growth towards a better self-leadership discipline. Since my leadership quest and my business approaches have developed almost simultaneously I start documenting my thoughts and ideas in a more ‘formal’ way which finally resulted in this book. I provide this book as-is in the hope that will help other people having passed the same roads to find good insights and ideas for their own personal and professional life. It focused on the aspects connecting the personal, the social and the business aspects of a person’s life! I do not have too many answers. I mostly have questions, questions you might find useful in your own path as well as ideas and references. I hope you will find it useful to your own quest! 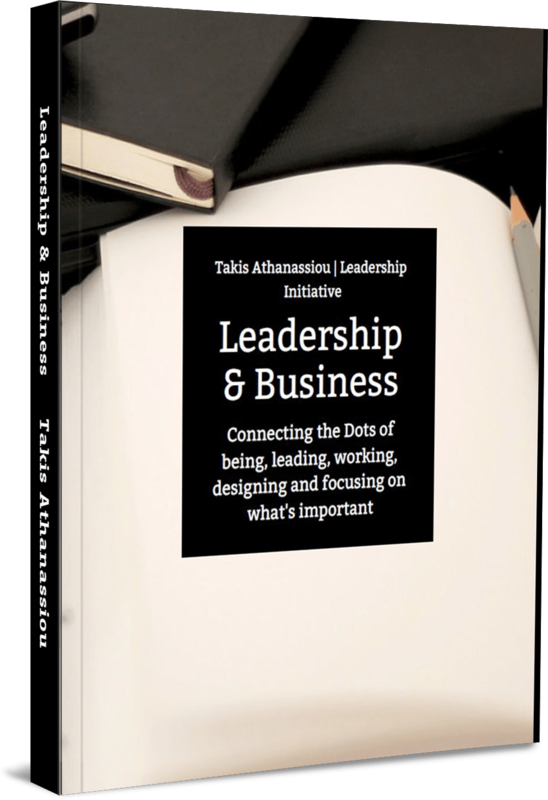 You can get your free copy of the “Leadership & Business: Connecting the Dots of being, leading, working, designing and focusing on what’s important” by fill in your name and your e-mail to the form below!